← Will the Actions of Six Countries Determine the Future of Carbon Emissions? 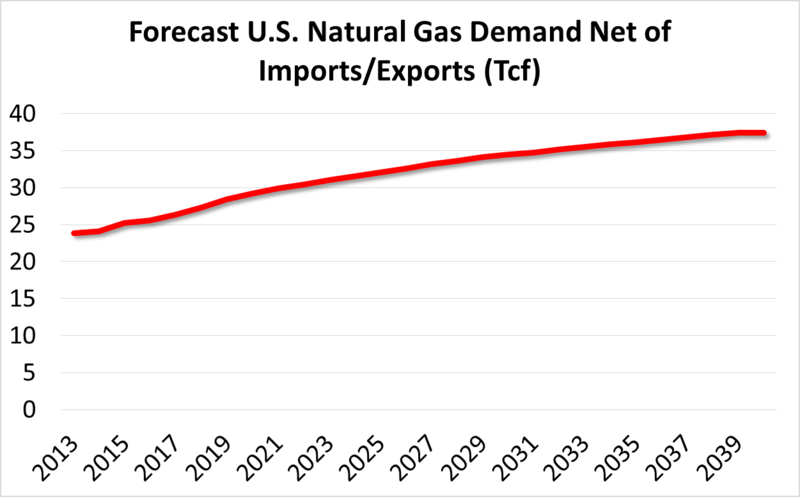 Will the Party for Natural Gas Consumers Continue? 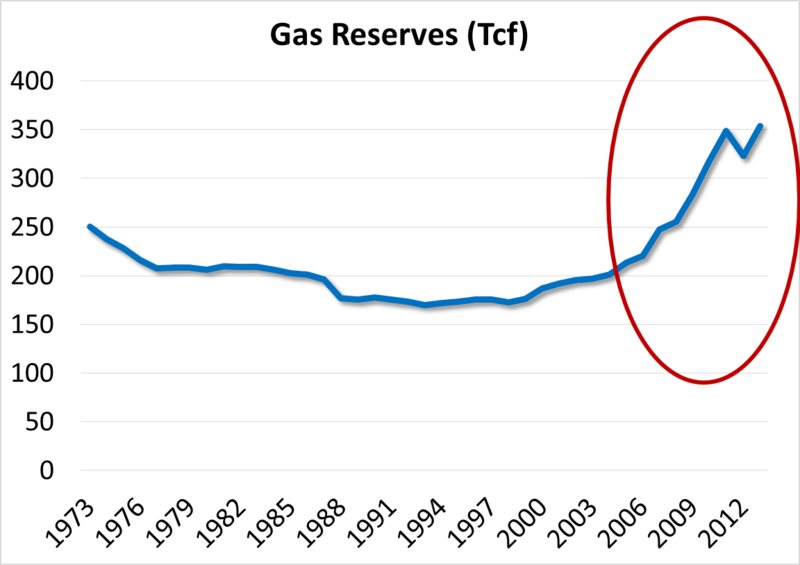 Without looking at it, it is hard to imagine the flabbergasting growth in U.S. natural gas reserves in the last five years. And, even more amazing, this growth has occurred in a time of falling prices. It’s common industry knowledge that this situation is a result of the dramatic impact of shale gas resource development driven by new hydraulic fracturing (a.k.a. fracking) techniques. This has created significant benefit for consumers of natural gas and electricity as lower gas prices have driven down electric generation costs. This shows steadily increasing demand over time, which, if the forecast is correct, suggests that prices should rise. But there is nothing here to show demand growing with anywhere near the dramatic increase we have seen in reserves. 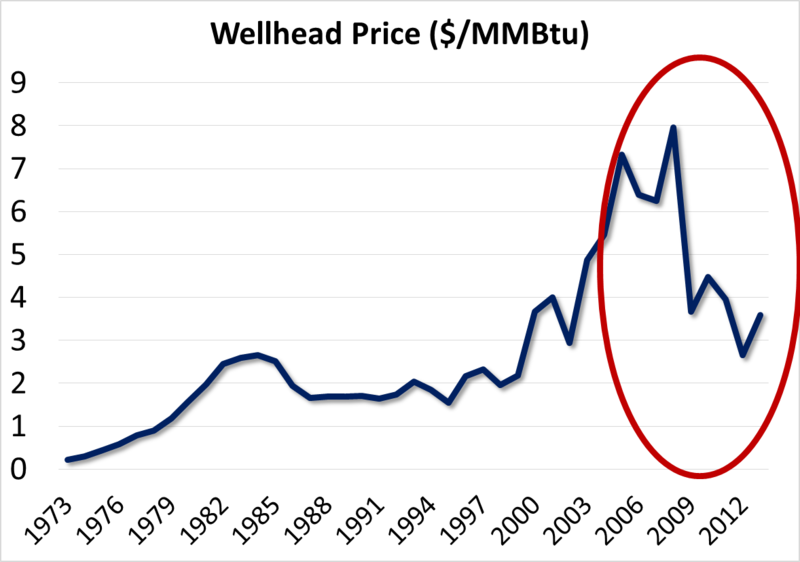 So while this might move prices up a bit, it seems it should not result in huge price increases like we saw in the mid to late 2000s. And the fact remains that most producers need cash flow, so there is only so much they can do to restrict supply. Given these facts, it is hard to see the party for gas consumers ending at least in the near-term. But, as we all know, the gas industry has been boom-bust for many years, and there may be unexpected twists lying in wait. This entry was posted in Natural Gas, Renewables and tagged Fracking, Hydraulic fracturing, Natural Gas Markets, Natural Gas Prices, Natural Gas Reserves, Shale gas. Bookmark the permalink.